WMC designs custom courses to meet specific technical needs, both public and proprietary. These courses can be for private companies engaged in new product development, equipment companies offering training, or commodity boards promoting a complementary product. In 2017, WMC partnered with the U.S. Dairy Export Council to demonstrate how to incorporate whey permeate into baked products to improve or maintain product quality while reducing costs by replacing more expensive food ingredients. 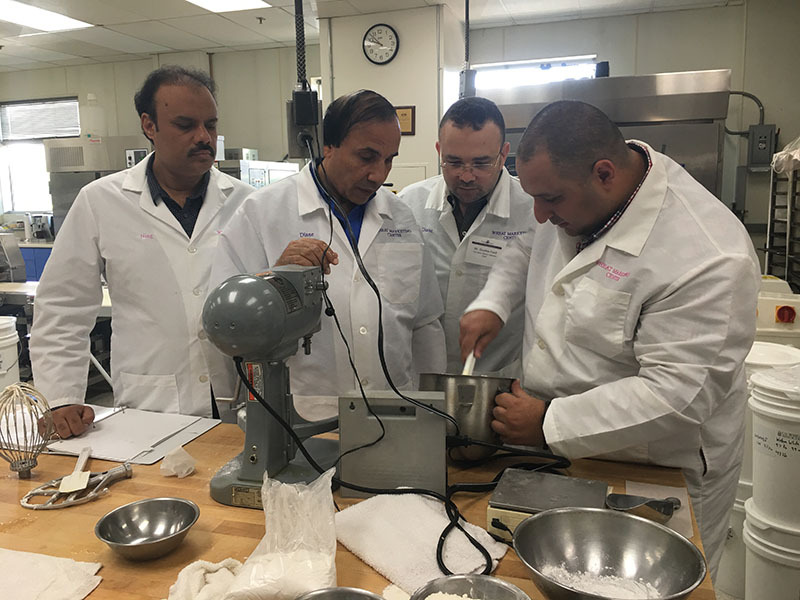 Bakers from the Middle East and North Africa spent a week at WMC and tested a wide range of products including breads, cakes, tortillas, croissants, cookies, crackers, and muffins. Then Technical Director, Gary Hou designed and led the course. Perten Instruments asked WMC to help provide updated training on the Falling Number device, which measures grain soundness. Our Lab Technologist helped design the course and provided hands on training. 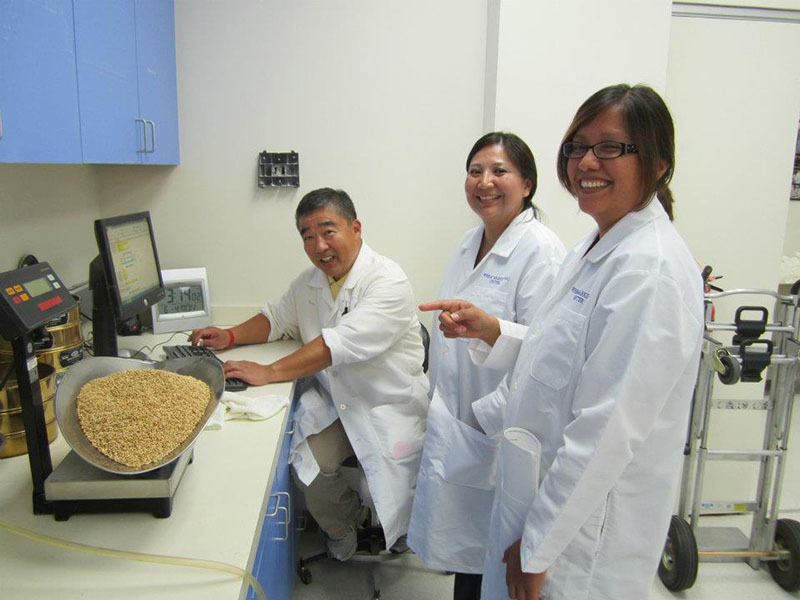 Navajo Pride Flour Mills asked WMC to conduct a Wheat and Flour Quality workshop for their employees. Laboratory Supervisor Bon Lee conducted the weeklong course. 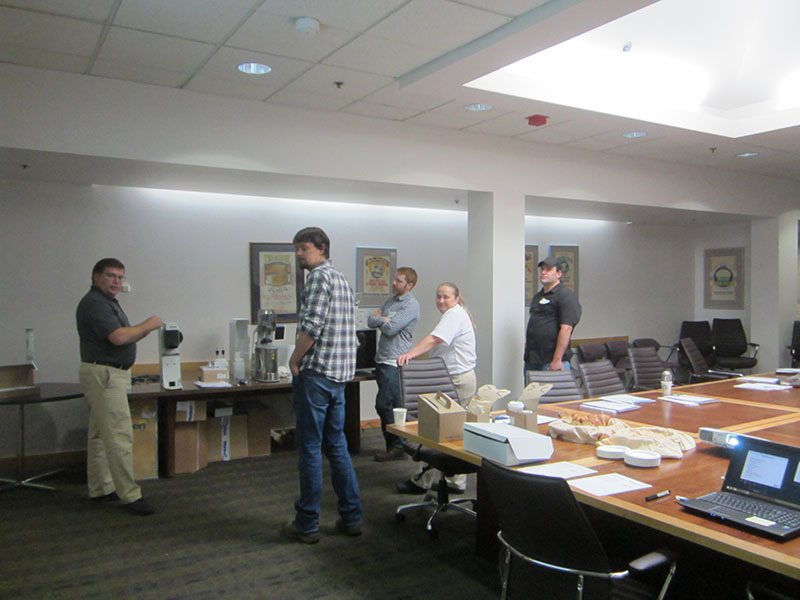 Participants learned about milling and all the grain, flour and dough tests. An example of a proprietary course is when an ingredient company asked WMC to test how different products impacted saltine cracker end quality. The WMC pilot scale cracker line was used to run multiple tests very efficiently. Previous technical director, Dr. Hou directed the course and provided technical advice to the course participants on different tests. Companies interested in developing new products, exploring how to improve end product quality, or understanding how wheat and flour analytical testing can inform the milling and production processes are encouraged to contact the Wheat Marketing Center’s Technical Director, Dr. Jayne Bock, at jbock@wmcinc.org to discuss custom course opportunities.